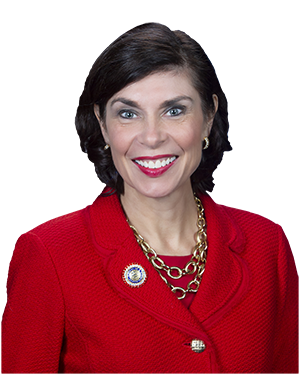 HARRISBURG – Senator Kristin Phillips-Hill (R-York) will serve on the bicameral and bipartisan Legislative Budget and Finance Committee (LBFC) for the 2019-2020 session. The LBFC is comprised of 12 members from the General Assembly, including six from the state Senate and six from the House of Representatives. The committee is evenly divided with six Republicans and six Democrats serving on the committee. Phillips-Hill will be one of three Senate Republicans on the committee. Senator Bob Mensch (R-Berks/Bucks/Montgomery), who chairs the LBFC, said the addition of Phillips-Hill will be an asset to the committee. The LBFC conducts studies and makes recommendations aimed at eliminating unnecessary expenditures, promoting economy in the government of the Commonwealth, and assuring that state funds are being expended in accordance with legislative intent and law. To carry out these mandates, the LBFC is authorized to conduct a wide range of research activities pertaining to the operation and performance of state-funded programs and agencies.